The Humane Society Veterinary Medical Association is registered as a 501(c)(3) non-profit organization. 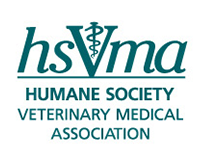 Contributions to The Humane Society Veterinary Medical Association are tax-deductible to the extent permitted by law. The HSVMA's tax identification number is 22-2768664.